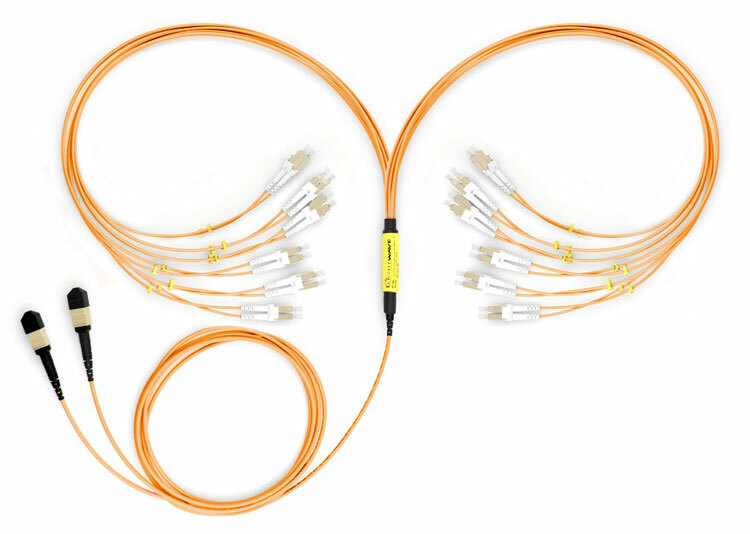 If you need a solution for heavy-duty data transfer with limited space, then the LightWave MTP-LC, Multimode 62.5/125 OM1, 24-Strand Fiber Optic Cable is just what you are looking for. Its design was made with high-density applications in mind, and its essential plug-n-play connectivity can save you up to 75% of data center installation time. As MTP® connectors eliminate large-size cable traffic, airflow to your equipment increases, which can no doubt help it run more efficiently and reduces the risk of overheating and malfunction. MTP brand connectors are also best equipped to handle higher bandwidth requirements. This is a Plenum-rated cable, with two female MTP brand MPO-style connectors on one end, and it fans out to 24 LC connectors in duplex configuration. 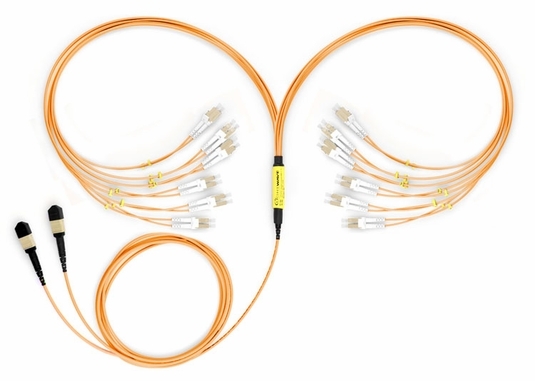 The MTP-LC OM1 fiber optic cable will allow you to send data over a 62.5/125 micron glass fiber 1Gbps link a distance of up to 300 meters at a wavelength of 850nm or a distance of up to 550 meters at 1300nm. 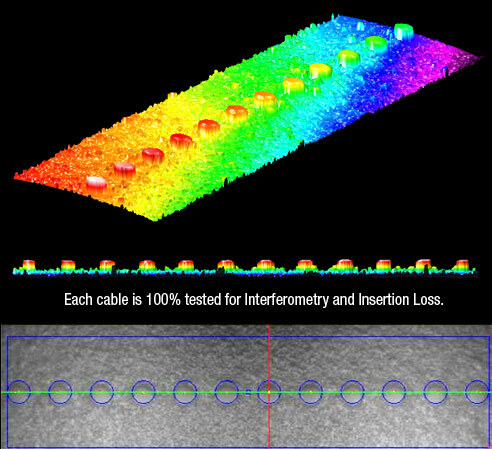 For a 10Gbps link, you can transfer data a distance of up to 33 meters at 850nm. 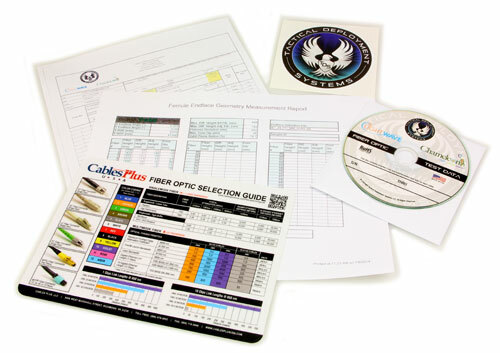 Each Lightwave MTP-LC cable is 100% individually tested for interferometry and insertion Loss and is made in the USA. The MTP brand connector is a significant advancement on the MPO connector style. These improvements, which include stainless steel guide pin tips, better spring design, and removable housing, were incorporated to provide the customer with a superior, more dependable connector.